Created in 1979, Villechenon is an established French law firm specialized in business law and is a well-known leader in private equity venture capital transactions. 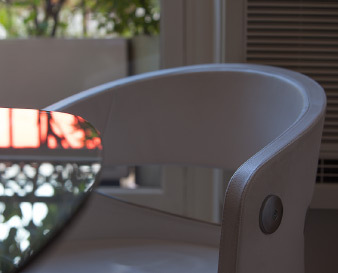 Villechenon is a French law firm with a strong entrepreneurial spirit. It specializes in business law, private equity, venture capital and mergers & acquisitions. mergers & acquisitions, disposals, joint-ventures, and initial public offerings. At its creation, in 1979, the firm focused on advising entrepreneurs and managers in developing and growing their businesses. This led to acting for institutional investors (mainly private equity firms) and corporates, both French and international. The firm now regularly acts for both leading innovative companies in the technology, biotechnology, e-commerce and cleantech sectors as well as for more traditional good and services industries. The quality of the firm’s advice, its highly specialized teams and its market knowledge allow Villechenon to advise on more than 70 transactions per year. allow us to provide our clients with a customized service, support them in making strategic choices and help them complete their projects even on tight timetables. This approach enables the firm to be a force of creative and pragmatic proposals. We project manage transactions both domestic and international with multiple stakeholders (boards, auditors, experts, other lawyers …). Our partners are personally involved on each deal. We are flexible in responding to our clients’ busy schedules by creating the right team for each deal or matter. Our clients are loyal which allows us to forge long lasting relationships. This guarantees an excellent knowledge of each client and of the history of each matter or deal. We strive to build a relationship based on trust and stability. Villechenon represents clients in sectors ranging from technology, biotechnology, e-commerce and cleantech to more traditional finance, industry and services. The firm also advises many private equity and venture capital investment funds on a regular basis. The firm acts for companies of all sizes, from start-ups (in particular on fundraising issues), small and medium-sized companies to large groups, whether private or listed. Villechenon has advised its clients on more than 70 transactions last year. Private Equity and Venture Capital are at the heart of our practice. During the past three years, the firm has handled more than 200 transactions in this sector. Villechenon is well known for its expertise in venture capital, growth capital and leveraged buyouts. 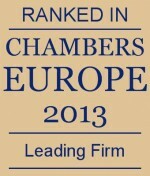 The firm is regularly ranked by specialist publications as one of the best firms in these areas. Villechenon advises its clients on every type of transaction (seed, venture capital, growth capital, leveraged transactions, sale or IPO). The firm represents a wide range of companies in the technology sector, biotechnology, e-commerce and cleantech as well as a large number of investment funds. Villechenon handles all aspects of fundraising and assists founders, managers or investment funds on due diligence, drafting and negotiating term sheets, investment and shareholder agreements, security packages, corporate documents for the issuance of debt or equity securities and management packages. The firm regularly advises clients in the implementation of French or international incentive plans (employee stock-option plans, warrants, free shares etc. …). 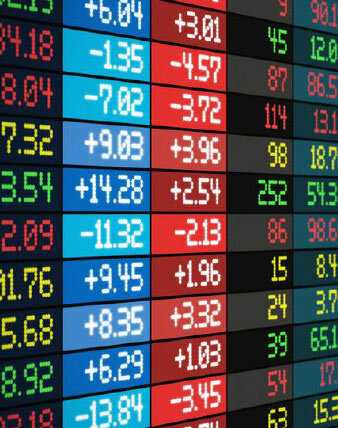 Villechenon also advises investment funds or managers on LBO transactions. The firm can advise at all stages of the structuring and execution of the transaction: offer letters, due diligence, drafting of all of the investment and corporate documentation, assisting our clients in open bid processes and recommending legal and tax structures. Villechenon is a recognized leader in all aspects of mergers and acquisitions as well as the establishment of joint ventures. The firm has handled a very significant number of such transactions for both private and listed companies. The firm assists and supports its clients in negotiating and drafting from preliminary offers and MOUs to share purchase agreements. The firm regularly conducts due diligence exercises for its clients (including “vendors due diligence”) and more generally provides its clients with intelligent risk analysis for their transactions. 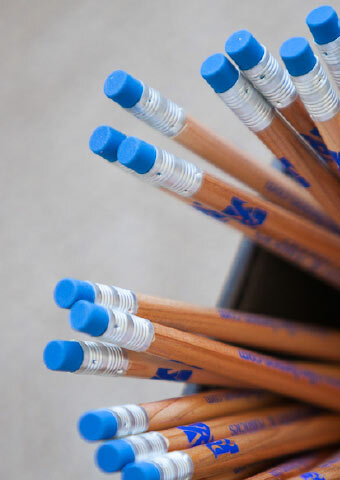 Corporate law is also one of the firm’s key practice areas. 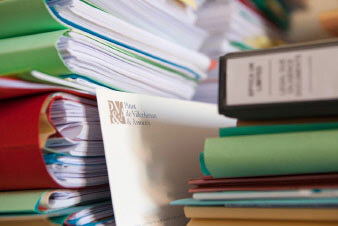 Our lawyers work directly with our clients’ management and boards to assist them on company secretarial issues, ensure compliance with companies’ legal obligations as well as analyzing, studying and drafting the necessary legal documentation to complete complex transactions (mergers and acquisitions, share and business transfers, contributions in kind, group restructurings, joint ventures etc…). The firm can act on Initial Public Offerings (IPO) and on subsequent financial transactions (shares, hybrid securities or debt issuances) but also on a delisting. The firm also advises public companies clients on their obligations throughout their life as a listed company. Business transactions bring up potential tax liability issues for companies, funds and shareholders/directors. Villechenon’s tax team thoroughly analyses the tax impact of potential transactions so as to advise its clients (government owned and private entities) on all tax issues, including any related litigation. 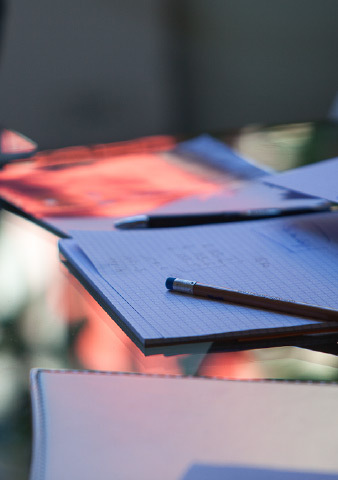 Villechenon also has a team dedicated to VAT and indirect tax issues. The firm assists companies in their international development in order to secure and to optimize their tax policies. It also has a recognized competence in taxation issues of start-ups (tax credits/subsidies, young innovative company (JEI) benefits, environmental taxation, etc…). VAT and payroll tax issues (tax exemption of Article 257 bis of the French tax code, holding companies, financial products / dividends). VAT treatment of domestic (sectorization, exercise of the right of deduction, payroll tax implications) and international financial operations. The firm assists its clients in all their Real Estate matters. 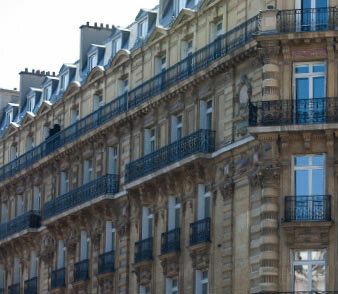 Local property taxes (local tax on equipment (TLE), tax on offices in Ile de France, …). Our tax department also regularly advises local authorities, administrations, Government owned or semi-owned companies (SEM) on their day-to-day tax management and on their financing transactions. We also often assist on tax exemption operations in French overseas territories. Refund litigation relating to unconstitutional rules or contrary to European Community tax laws. We have in particular developed a recognized expertise in litigation regarding home visits (16 L B) and criminal tax law issues. 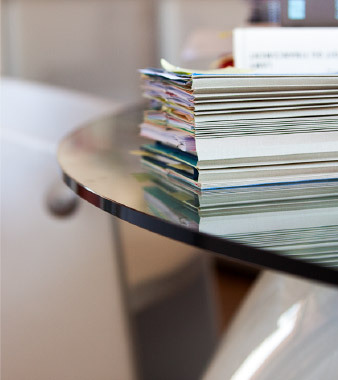 Our litigation activity represents approximately 30% of our business. Villechenon’s traditional practice areas (Private Equity, Mergers & Acquisitions, LBO, Venture Capital …) necessarily raise some labor law related issues for companies and funds as well as for shareholders and/or managers. Villechenon therefore assist their clients in controlling labor individual and collective relationships matters that may arise from transactional deals. Villechenon’s labor department also deals with all aspects of employment and labor law, both in terms of advice and assistance and in relations to contentious individual and collective matters. Thanks to its expertise on both corporate and tax issues that entrepreneurs / managers regularly face, Villechenon is ideally placed to advise its clients in their decisions relative to their share ownership and professional assets. The firm devises optimal structures for the company whilst ensuring that managers’ and founders’ assets are protected. 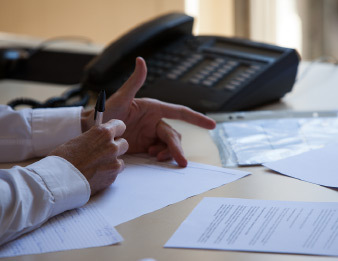 In order to offer our clients with the best representation and the highest level of expertise in all circumstances, Villechenon works as necessary with other law firms and professionals with the necessary expertise in both in France and abroad. Francis Pinot de Villechenon is the founding partner of the firm which he started in 1979. His vision and ambition has established Villechenon as a leading independent law firm in France. After 40 years of representing companies, founders, managers and investors, Francis has developed an expertise that is key to the firm’s client recognition and loyalty. Francis oversees Mergers & Acquisitions and Private Equity transactions. He advises clients in matters of company law, tax, commercial law; all areas in which he has acquired a very strong expertise. Francis holds a Master degree in Public Law and a post graduate degree in Private Law. He is also a graduate of the Center for European Studies (Centre d’Études des Communautés Européennes) and of the Paris Institute In Urban Planning. Francis is a member of the Paris Bar and he assists his clients in both French and English. Morgan Hunault-Berret joined Villechenon in 1999 as an associate before becoming a partner in 2004. Morgan’s areas of practice include Private Equity, Mergers & Acquisitions and capital markets. With respect to Private Equity, Morgan advises start-up companies with strong growth potential as well as their management and investors in a variety of sectors (life sciences, new technology, software, telecommunication, Internet and e-commerce). She advises companies at all stages of development either via venture or growth capital operations or in the context of Mergers and Acquisitions. With respect to capital markets, she acts as counsel for the issuer or the investment bank at the initial public offering (IPO) or on other public stock transactions and also advises on regulatory issues of listed companies. Morgan has a Master degree in Private Law and a post graduate degree in Contract Law. She is a member of the Paris bar and has taught law at the Faculty of law at Nantes, France. She assists her clients in both French and English. Eager to share her knowledge and experiences with aspiring entrepreneurs, Morgan regularly lectures graduate students in the Master in Innovation and Entrepreneurship Program at ESCP-Europe. Morgan is a member of the CRA and Entrepreneurship Network (Réseau Entreprendre). In addition, Morgan supports the non-profit endowment Explore managed by the sailor and explorer Rolland Jourdain. In this context, she occupies a Board member position for Explore. Erwan Tostivint joined Villechenon in 2001 as an associate before becoming partner in 2008. His areas of practice include Private Equity, Venture Capital and Mergers & Acquisitions. Erwan advises start-up companies with strong growth potential particularly in the areas of software, new technologies, biotech/ medtech and the Internet. Erwan has developed an extensive experience in advising founders, managers, shareholders and investors who are willing to support start-up companies at all stages of development from creation through all rounds of financing up to the exit (trade sale, IPO…). More generally, he represents clients in all matters relating to corporate and business law. 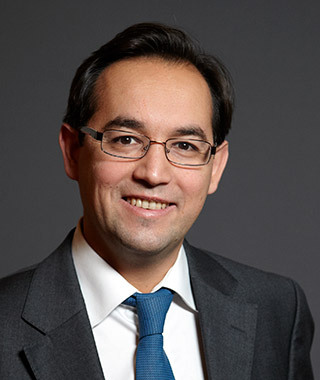 Member of the Paris Bar and the Entrepreneurship Network (Réseau Entreprendre), Erwan holds a Master degree in Private Law as well as a post graduate degree in Business Law. He participates in numerous conferences in Mergers and Acquisitions and Venture Capital. He assists his clients in both French and English. 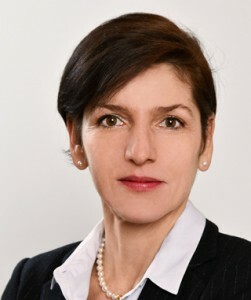 Isabelle Burel-Blasoni joined Villechenon as an associate before becoming a partner in 2013. Isabelle specializes in Private Equity and Mergers & Acquisitions. She represents businesses along with their partners and investors in many areas such as new technologies, biotechnology and the audiovisual industry. 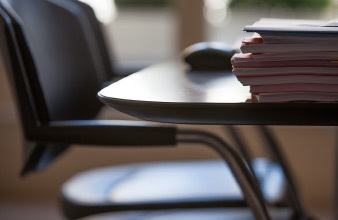 Isabelle is well versed in corporate, commercial, tax and labor and employment law. Isabelle holds a Master in Business Law. She is a member of the Paris Bar. She assists her clients in both French and English. 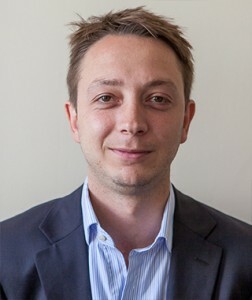 Gilles Roux joined the firm in 2012 as a partner. Prior to joining Villechenon, Gilles was a partner at Paul Hastings, an US firm. Member of the Paris Bar, Gilles Roux has developed a strong expertise in Mergers & Acquisitions, Private Equity transactions (including LBO and Growth Capital) and joint ventures. He also represents a number of clients in their international transactions. 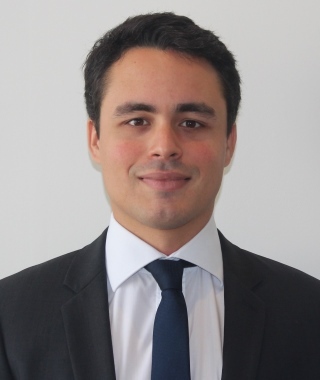 Tristan Segonds joined Villechenon in January 2014 as a partner to reinforce the firm’s international practice. Tristan started his career with the City law firm Lovells in Paris before moving to London to work for 3i and Intel Capital. He advises primarily on Private Equity (buyouts and growth), Venture Capital and M&A transactions. His experience of working for US and UK funds on deals across Europe, Israel and Russia is particularly helpful when advising foreign clients investing in France, or to assist French clients on their international transactions. Tristan is a member of the Paris bar and a graduate of the Sorbonne University where he holds post graduate degree in Business Law. Tristan is fluent in French and English. Eric HEBRAS joined the Firm in 2015 as a partner. He began his career in the Financial Services team of Landwell & associés in 1998. In 2000, he joined CMS Bureau Francis Lefebvre which he left in 2011 to found the tax department of Genesis Avocats. 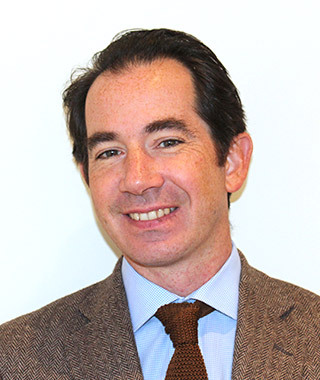 Eric holds a Master in private law from the university of Paris II – Assas and is also a graduate of Sciences-Po. He advises companies and investment funds on deal structuring issues (such as LBOs, joint ventures, assets sales) and regularly assists directors and shareholders in connection with French and international tax law issues and wealth management. 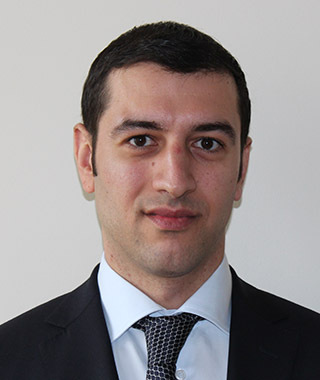 He has developed a specific expertise in private equity and venture capital tax related issues (both for investment fund structuring and in connection with investments), as well as issues in connection with research grants financial products and real estate fund structuring or transactions. Eric also regularly represents his clients in the context of complex tax litigations, before judicial and administrative courts. He assists his clients in French and English. Eric has recently been interviewed by the French Parliament concerning the exile of French elites (Commission d’enquête de l’Assemblée Nationale sur l’exil des forces vives). He is a member of the CCEF (Financial experts association). 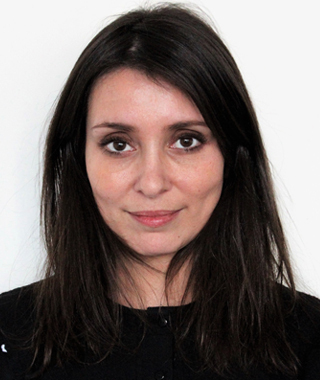 Catherine Nahmias-Ferrandini is a law graduate from the Magistère Juriste d’Affaires (University of Paris II Assas). 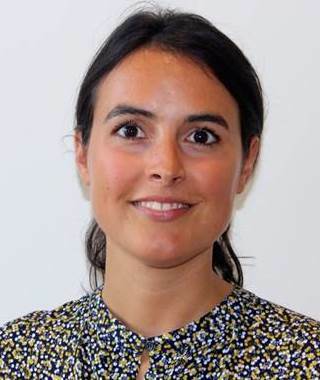 She also has a master degree in European business law (University of Paris of Paris II Assas) and a LLM in European business studies (University of Exeter). 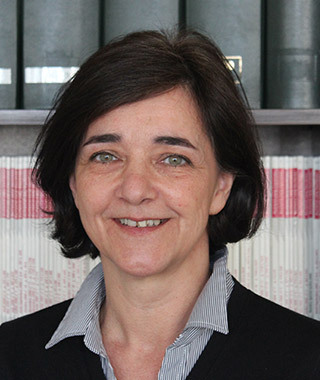 Catherine has been an Avocat at the Paris Bar since 1996 and has worked in house in IBM as Employment Law Counsel between 2004 and 2012. 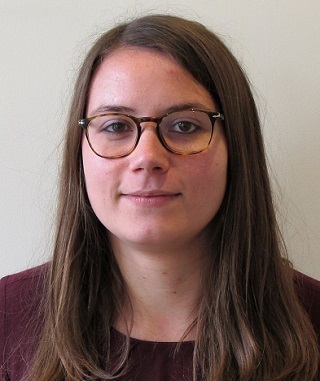 She joined Villechenon in 2017 as a partner. 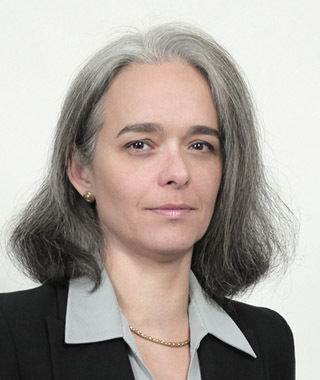 Catherine specialises on all aspects of French employment and labor law. She advises client, mainly employers, on the full range of individual and collective, contentious and non-contentious employment law issues including contractual issues, conduct and capability issues, cross border and non-cross border secondment issues and changing terms and conditions. She has been a key advisor on many significant M&A transactions, being involved at each step of the process from due diligence to the negotiations of resps. and warranties where employment law is concerned. She has gained particular expertise in dealing with large-scale cross border transactions. 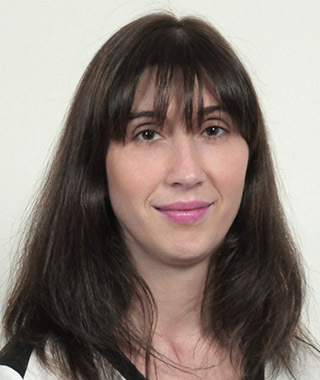 Catherine advises and assists her clients both in English and French. Alexander Kotopoulis is a member of the Paris Bar since 2008, the same year that he joined Villechenon. He has a post graduate degree in International Business Law. He assists his clients in French, English, Greek, and German. Paul-Albert Legrand is a member of the Paris Bar since 2003, the year that he joined Villechenon. With a post graduate degree in Corporate Law, Paul-Albert specializes in Private Equity, Mergers & Acquisitions and particularly start-up companies in various areas (New Technologies, Hi-Tech, Biotechnology, and Medtech). He advises companies throughout their development as well as their shareholders and investors from their initial investment through to their exit. Paul-Albert also represents clients in their daily business transactions. He assists his clients in both French and English. Alice Laroque is a member of the Paris Bar (1996) and the New York Bar (1999). Her practice areas include Private Equity, Mergers & Acquisitions and Capital Markets. In Private Equity, Alice counsels start-up companies and companies with strong growth potential as well as their shareholders, managers and investors in different sectors (Life Science, Software, Telecommunication, and Internet). She is involved in the companies’ development at every stage from venture capital rounds transactions through Mergers & Acquisitions to Initial Public Offerings. In Capital Markets, she counsels issuers or investment banks in Initial Public Offerings (IPOs, takeovers…) or more generally monitoring listed companies. 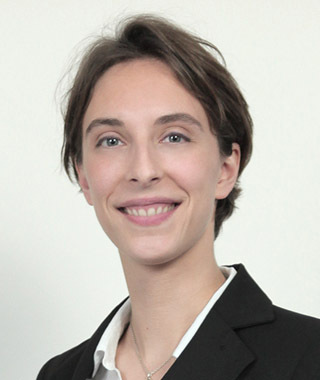 Prior to joining Villechenon in 2008, Alice worked for law firms in Paris and New York. She assists her clients in both French and English. Amélie Pinot de Villechenon holds a Master degree in History and Private Law. She joined the firm in 2008 as an in-House Counsel. 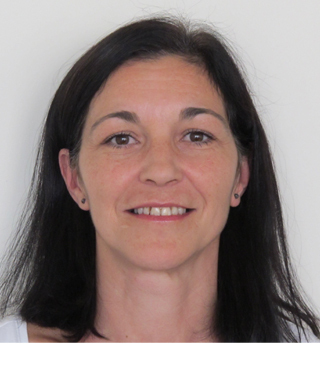 She assists her clients in French, English and Italian. 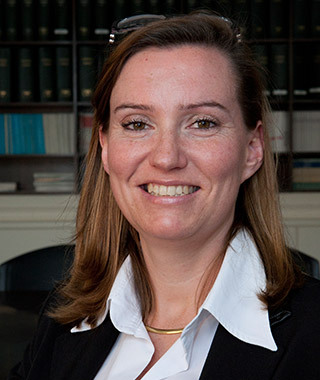 Amélie Maindron is a member of the Paris Bar since 2012, the year that she joined Villechenon. A graduate from SKEMA Business School and a holder of a Master degree in Business Law, she assists her clients in both French and English. 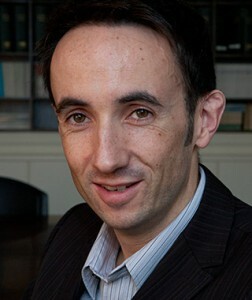 Martin Kyuchukov-Roglev is a member of the New York Bar (2010) and the Paris Bar (2011). He joined Villechenon in 2013. Prior to joining the firm, he worked at Jones Day in New York and Paris and at NMV. He holds a Master degree in Tax and Business Law as well as post graduate degree in Company Law (DJCE) and an LL.M in Corporate Law. He assists his clients in French, English, Spanish and Bulgarian. Bertrand DALE is a member of the Paris Bar since 2014 and joined Villechenon in 2015. He holds a post-graduate degree in business and tax law (D.J.C.E.) and a Magistere de Juriste Conseil d’Entreprise. He assists his clients in tax law in both French and English. Eleanore Griffiths is a member of the Paris Bar since 2014, the year that she joined Villechenon. She holds a Master degree in Business Law and a MBA in Management and Business Law. She assists her clients in both French and English. 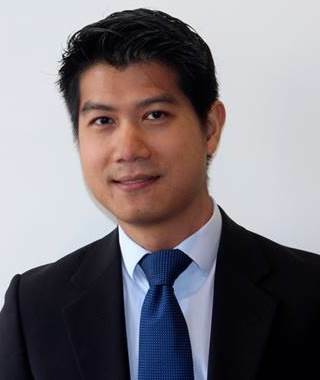 Philippe HUANG is a member of the New York Bar (2010) and the Paris Bar (2011). He joined Villechenon in 2015. Prior to joining the firm, he worked at Bredin Prat, Linklaters (Luxembourg) and Gide Loyrette Nouel. 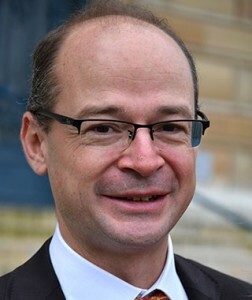 Philippe holds a Master degree in Tax and Business Law (DJCE – Magistère Juriste d’Affaires) from the University of Paris II and an LL.M from NYU. He assists his clients in French and English. 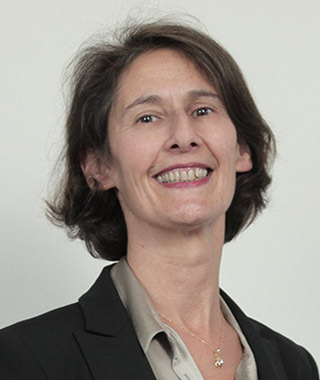 Géraldine Pasquet is a member of the Paris Bar since 2015, the year that she joined Villechenon. She holds a master and a post-graduate degree in Tax Law from Descartes University. She assists her clients in both French and English. Gaspard Le Pomellec is a member of the Paris Bar since 2014. His practice focuses on mergers and acquisitions, private equity (LBO and growth) and venture capital. 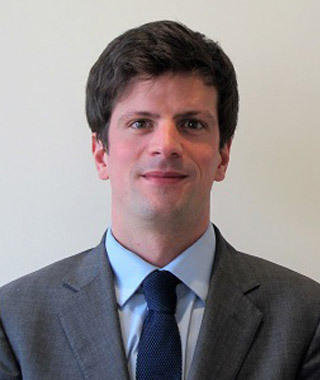 Before joining Villechenon in 2016, Gaspard worked in the Corporate department of Orrick Paris. He holds a Master 1 degree in Business Law (Paris II Panthéon-Assas) plus a master’s degree and MSc from the EDHEC Business School. Gaspard is fluent in French and English. Julie Barfety is a member of the Paris Bar since 2012. 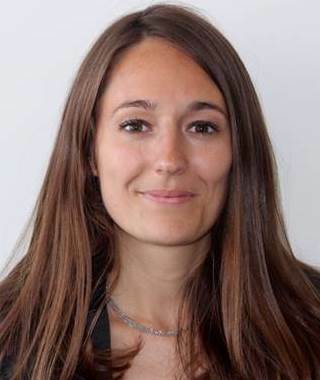 She joined Villechenon in 2019, after having worked for Scotto Partners, Squire Patton Boggs (Paris) and Ayache Salama. She holds of a Master II in International Business Law from the University of Toulouse I. She assists her clients in French and English. 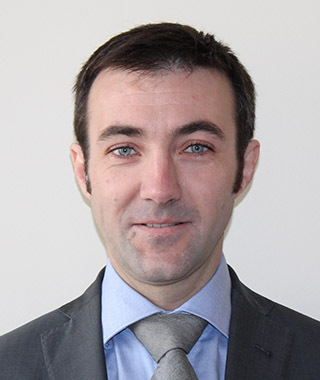 Quentin Allibert is a member of the Paris Bar since 2019, the year that he joined Villechenon. 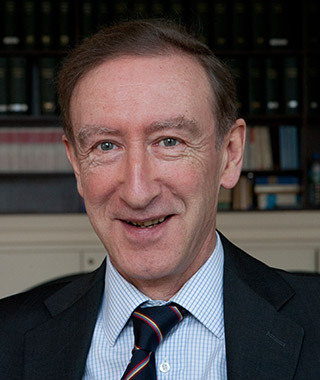 He holds a Master II Jurist in International Affairs from the University of Bourgogne and a Specialized Master in Law and International Management from ESCP Europe. He assists his clients in French and English. having a strong practice in corporate matters. Villechenon advised the mezzanine investors (Andera Partners) in the context of a LBO on Lease Protect. Villechenon advised Tesalys on an investment from iXO Private Equity and Sigma Gestion. Villechenon advised Tesalys on an investment from Daphni, C4 Ventures, Road Ventures, BNP Paribas Développement and la banque des territoires. Villechenon advised the historical investors on a LBO on Product Life led by 21 CP. Villechenon advised Rafaut on the acquisition of Aeds groupe. Villechenon advised Ring Capital on a LBO on B Network. Villechenon advised CM-CIC Capital Privé on a LBO on CEIS. Villechenon advised Bergamotte on an investment from Raise Ventures, XAnge and 360 Capital Partners. Villechenon advised Axa Venture Partners on a € 20 million investment round in Happytal. Villechenon advised Quable on an investment from SAAS Partners ans LER Invest. With the association of Alexander Kotopoulis, the firm is strengthening its expertise in private equity and developing its practice in digital law. Villechenon advised Homerez on a € 6 million investment from its historical investors and Seventure Partners. Villechenon advised Andera Partners on Document Store’s refinancing. Villechenon advised Idinvest Partner in the context of the unitranche financing of a LBO on Linxis led by Cerea Capital. Villechenon advised Technicis on the acquisition of AAC GLOBAL. Villechenon advised Andera Partners in the context of an OBO on JORYF. Advising Bagel Corner on a investment from its historical investors, Franchise MeUp and Starquest. Advising existing investors on an investment of € 70 M in Evaneos. Villechenon advised MBO Partenaires and Private Equity Funds on a LBO on Groupe ARCADO. Villechenon advised Odyssée on an investment of Parsys Télémédecine. Villechenon advised Technicis on the acquisition of HL Trad. Villechenon advised Technicis on the acquisition of Telelingua. Villechenon advised Convelio on an investment from Global Founders Capital and Business Angels. Villechenon advised Ring Capital and Omnes Capital on a € 12 million investment in Tiller Systems. Villechenon advised D3T Distribution on the acquisition of Intégrale Moto. Villechenon advised Arkéa Capital on a LBO on Groupe LT led by MBO Partenaires. Villechenon advised Ekim on a € 2.2 million investment from Daphni and Partech. Villechenon advised Yseop on an investment from Nextstage AM. Villechenon advised Daphni and Otium Capital on a € 11 million investment in Comet. Villechenon advised the sellers (Naxicap Partners) on a secondary LBO on the group Arenadour led by SRS. Villechenon advised Vectalys and FlashCell on their merger and on a € 3.3 million investment from Auriga Partners, Galia Gestion and business angels. Villechenon advised Eric Careel on the acquisition of Withings, Nokia’s Digital Health division . Villechenon advised Apax Partners and the other sellers in the sale of Groupe Silvya Terrade to Abénex. Villechenon advised Serena Capital on a € 7 million investment in Flexybeauty. Villechenon advised Stentys (listed on Euronext Paris) on the acquisition of Minvasys for € 7.5 M including € 1 M in shares. Villechenon advised Ideol on a € 15 million investment from Kerogen Capital alongside historical investors Amundi Private Equity Funds, Sofimac Régions et Paca Investissement. Villechenon advised Siparex Intermezzo on the MBO on Céleste. Advising Apax Partners and Bpifrance Investissement on the LBO on Groupe Eric Bompard. Villechenon advised Naxicap Partners and Groupe Technicis on the acquisition of TextMaster. Villechenon advised Stentys on a € 11.8 million investment on Euronext Paris. Villechenon advised Daphni and Serena Capital on a € 7.5 million investment in Honestica. Villechenon advised ICG on the financing of SFAM’s acquisition of a stake in Fnac-Darty. Villechenon advised Siparex and Crédit Agricole Equity Funds on their LBO on Apside Technologies. Villechenon advised Tesalys on a € 1.5 million investment from Entrepreneur Venture. Villechenon advised Amundi and BMPP on the LBO on Fondasol. Villechenon advised Siparex Intermezzo on the mezzanine financing of Silfox’s LBO. Villechenon advised Acerde on its financial support from strategic investor. Villechenon advised Horama on a € 19 million investment from Omnes Capital, Go Capital, Turenne Capital, Kurma Capital, Fund +, Pontifax and Idinvest. Villechenon advised Accenta on a € 1 million investment from business angels as Pierre Kosciusko-Morizet, Ludovic Lemoan (Sigfox), Thierry Petit (Showroom Privé), Thierry Roussel (Direct Energie) and Adeline Bonvalet (CNRS Polytechnique). Villechenon advised Siparex Intermezzo on the mezzanine financing of Visiativ’s capital market operation. Villechenon advised Cathay Innovation on a € 1 million investment in Stratumn. Villechenon advised the sellers and management on a LBO on Theradial led by UI Gestion and BPIfrance. Villechenon advised EdRIP and Rive Private Investment on a LBO on Philogeris Résidences. Villechenon advised CNIM/Bertin Technologies on the acquisition of Winlight. Villechenon advised Bergamotte on a € 5 million investment from XAnge and 360 Capital Partners. Villechenon advised Naxicap Partners and Technicis on the acquisition of Arancho.doc. Villechenon advised Serena Capital on a € 4 million investment in Elium (Whatever), along with S.R.I.W. Villechenon advised Serena Capital on a € 1.3 million investment in Inato, along with Kima Ventures and Fly Ventures. Villechenon advised Envie de Fraise on its acquisition by MK Direct. Villechenon advised Urosphère on the acquisition of Urolead. Villechenon advised EPF Partners on its sale to Apax Partners. Villechenon advised Idinvest Partners (mezzanine lender) on a LBO on InCa, new structure resulting from a carve-out of Geoxia. Villechenon advised FlashCell on a € 1,5 million investment from Auriga Partners. Villechenon advised Ideol on a € 8 million investment from Tertium Investissements, Paca Investissement, Conseil Plus Gestion and Amundi Private Equity. Villechenon advised Nomination on a € 3 million investment from Turenne Capital. Villechenon advised EPF Partners on the sale of Telligo to UCPA. Villechenon advised EPF Partners and Alliance Entreprendre, alongside with Xavier Marie, on the LBO on Rautureau. Villechenon is ranked 2nd in the Legal 500 Europe, Middle East & Africa 2017 of the “France – Private equity – Venture and growth capital” ranking. Villechenon is recommended in the Legal 500 Europe, Middle East & Africa 2017 in the “France – Private equity – LBO” ranking. Villechenon is recommended in the Legal 500 Europe, Middle East & Africa 2017 in the “France – Tax” ranking. Villechenon is ranked 2nd in the Legal 500 Paris 2017 of the “Private Equity – Venture and growth capital” ranking. Villechenon is recommended in the Legal 500 Paris 2017 in the “Private Equity – LBO” ranking. Villechenon is recommended in the Legal 500 Paris 2017 in the “Tax” ranking. Villechenon advised Training Orchestra on a € 5.3 million investment from A Plus Finance, CM-CIC Innovation and Turenne Capital. Villechenon advised the investors (consortium : Société Générale Capital Partenaires, IdInvest Partners, Capzanine, Siparex Mezzanine and Alliance Entreprendre) on the LBO on European Homes. Villechenon advised Hachette Livre on the acquisition and the takeover bid on IsCool. The arrival of Catherine Nahmias-Ferrandini strengthens the firm’s practice in employment and labour law by setting up a dedicated team, complementary to its traditional activities of venture capital, private equity, M&A and tax. SPARKLANE, a publisher of sales intelligence SAAS solutions (an Artificial Intelligence-based aid to commercial prospecting), enters a new phase as it completes a € 4 million funding round with two investment funds: XAnge (an historic partner of the start-up) and Entrepreneur Venture. Omnes Capital, with the support of co-investors Capital Transmission and Bpifrance, has acquired a stake in Groupe RGF alongside buyer Pascal Daviet as part of a management buy-in (MBI). Joël Béraldin, director and 100% shareholder in the company, has sold all of his shares and has acquired minority stakes in the new transaction. Villechenon is ranked 4th in the Private Equity Magazine ranking of law firms active in Venture capital deals. Villechenon takes the 9th place in the Private Equity Magazine ranking of law firms specialised in Growth capital and LBO deals of less than €75M, and the 13th place on deals between €75M and €200M. Villechenon is takes the 9th place in the Private Equity Magazine ranking of LBO lenders counsels. Villechenon wins the “Gold Award” in the best specialist LBO Small and Midcap teams, at the 2017 “Trophées du Droit” ceremony held last March. Villechenon wins the “Gold Award” in the best specialist venture capital and growth capital teams, at the 2017 “Trophées du Droit” ceremony held last March. Villechenon is ranked 5th out of the 30 best French M&A law firms in number of transactions and reaches the 2nd place of the “SmidCap” ranking (deals up to € 150 million of enterprise value). ParisCityVision, the leader of tours and activities in Paris and cruises on the Seine, extends its offer by purchasing Localers. Villechenon is ranked 2nd in the Option Droit & Affaires Magazine ranking of law firms active in Growth capital and LBO deals on companies of less than € 50 million (4 stars category). Villechenon is ranked 2nd in the Option Droit & Affaires Magazine ranking of law firms active in venture capital deals (4 stars category). Villechenon is ranked in the “Strong Reputation” category in the 2016 ranking of French law firms active in acquisition and LBO financing. IJ Next, owned by the Baelen group, specialised in the integration of computer and telecom networks, completes the acquisition of NetQuality, via a mezzanine financing arranged by Siparex Intermezzo. Creads, an online creative and participatory agency, just closed its second financing round of € 4 million from CM-CIC Capital Privé and a new investor Hi Inov (via FPCI Hi Inov 1 and SNCF Digital Ventures). Temelio, French start-up specialized in CRM onboarding raises € 2 million from Entrepreneur Venture and business angels. Big Moustache, an online sales platform of shaving products completed a second round of funding with L’Accélérateur (Day One) and new investor SIA Partners. ADF acquires Latecoere Services for a confidential amount. The scope of this sale represents €101 million in revenue at 12/31/2015 and 841 employees. This acquisition was financed by equity, senior debt and a mezzanine financing. Hopwork, the start-up that connects companies to the best freelances, raise €5 million with Serena Capital and Isai to grow its footprint in Europe. The BNP Paribas Group, via BNP Paribas Cardif and BNP Paribas Personal Finance businesses, is participating in the first-ever funding round for PayCar, taking a stake worth a total of €1.3 million. PayCar is a FinTech startup, which has created a secure, innovative payment solution for settling purchases of second-hand vehicles. 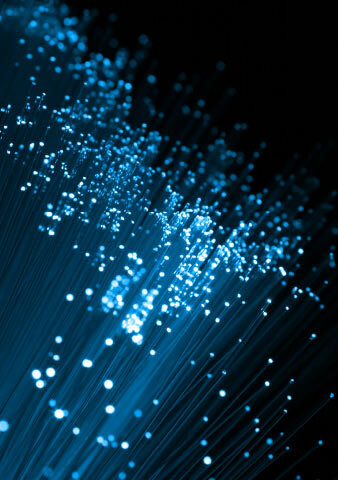 Ekinops, engaged in design, developing and providing optical transport equipment for telecommunication service providers and private networks, raises €7.85 million on Euronext. Shopinvest expands its business with the acquisition of Lemon Curve, France’s leading online sale of lingerie in France. PopChef, the on-demand food delivery app in Paris, completed a first round of funding of € 2 million with Elior Group, Jaina Capital and business angel Gilles Queru. ISAI, leading French investment fund, invests in Advens a company specialised in the cybersecurity industry. Villechenon is ranked in the “Excellent” category in the 2016 Mergers & Acquisitions rankings for deals of €75M or less. Villechenon is ranked in the “Strong Reputation” category in the 2016 tax aspects of transactions rankings. ACOFI, via investment fund FCPI Energy Transition France, and Urbasolar, first French independant pure player in photovoltaics, announced an investment of 55 million euros in three solar power plants, located in Sos (Lot et Garonne), Bessens (Tarn et Garonne) and Arles (Bouches du Rhône). After Polo Motorrad and Sportbikeshop, Equistone buys D3T Distribution (Motoblouz) to become the European leader in the distribution of equipment and motorcycle accessories. IK Investment Partners and Five Arrows completed a majority LBO of I@D Holding, a services platform dedicated to the first network of independent real estate agents in France. The founders Malik Benrejdal, Jade Benrejdal and Jerome Chabin as well as Naxicap Partners, shareholder since 2012, are reinvesting 37% alongside IK and FAPI. Dzeta Conseil, along with the new CEO Judith Benhamou, has acquired from its founders the ready-to-wear brand for women and children, Antoine & Lili. Symbio FCell, a pioneering company in fuel cell technology and inventors of the first range extender for hybrid (combined electricity and hydrogen) vehicles, has conducted a new round of fundraising and brought Engie New Ventures into the ranks of its investors. TVTY, world leader in Moment Marketing, completes a new round of funding by raising € 6 million from Serena Capital and the historical investors Partech International and 360 Capital Partners. Alkemics, leading data collaboration platform for the retail industry raises € 20 million from Cathay Innovation and Serena Capital, alongside with Index Ventures, Partech Ventures and SEB Alliance. This is one of 2016’s ten biggest fundraising in the IT sector in France. ACOFI, an independent financial services group, has acquired four vegetable greenhouses with photovoltaic roofs for an amount of € 14 million, via investment fund FCPI Energy Transition France, dedicated to renewable energy and created in July 2014. Dans le cadre de son 3e OBO, Eurofeu le premier fabricant français d’extincteurs accueille de nouveaux actionnaires, notamment les principaux dirigeants et cinquante cadres, parallèlement, les managers réinvestissent aux côtés de Société Générale Capital Partenaires. RB3D specializing in collaborative robots assisting industrial painful gestures, completes a 3rd round of funding, by raising € 4 million from the historical investors (ACE Management, Amorçage Technologique Investissement, IDEB, INOCAP, Alto Invest and founding managers) and welcomes Colas through CIB Développement. EPF Partners assists founders in the restructuring of the company’s capital, with the main objective to allow the group to make several additional acquisitions in terms of business expertise and / or geographical coverage. Villechenon is ranked in the top “key player” category of Venture capital law firms in the 2016 Décideurs rankings. Villechenon is ranked as “Excellent” by Décideurs in its 2016 rankings of Growth capital law firms. Villechenon is ranked in the “Strong Reputation” category of Counsels for LBO Funds – Lower Mid and Small-Cap in the 2016 Décideurs rankings. Villechenon is ranked in the “Strong Reputation” category in the 2016 Décideurs LBO tax structuring rankings. Vectalys, biotech start-up, raises close to 1 million from new investor Galia Gestion along with Wiseed, Fa Dièse, and business angels Aspac and Paul Steuperaert. Bergamotte, a start-up specialising in online flower delivery, raises € 1.2 million from 360 Capital Partners and three business angels. Along with the exit of Pechel Industries, Dial Invest (south of France leader in the dialysis industry) welcomes Turenne Capital Partenaires and buys a new clinic. The deal was financed by a senior loan provided by Société Marseillaise de Crédit and a mezzanine loan provided by Intermezzo – Siparex. Habiteo, start-up specializing in real estate 3D tour, completes a new round of funding by raising € 3 million from Serena Capital. Aryballe, inventor of the “electronic nose”, completed a first round of funding of € 2.6 million with Innovacom, CEA Investissement and Hardware Club. Qualtera completes its fourth round of funding of € 3 million with Serena Capital and Omnes Capital. Ixaltis, biotech start-up, welcomes new shareholders by raising € 8 million from Sofimac Partners, Principia, Ixo Private Equity, Irdi and SAS Goineau Développement & Finance. Idéol, a start-up specialized in floating substructures for the offshore wind industry, completes its fourth round of funding with three of its historical investors (PACA Investissement, Sofimac Partners, Conseil Plus Gestion and Demeter Partners), and welcomes Tertium Investissements as a new investor. Apax Partners, Arkéa Capital Investissement, Bpifrance, Société Générale Capital Partenaires and Sofinal lead a more than € 150 million LBO on Sandaya. Evaneos, the first live travel platform with local agencies, raises € 18 million from Serena Capital, Bpifrance and its historic investors: ISAI and Siparex (XAnge). Silvya Terrade, a leading beauty salon and hairstyle training and professional schools group, reorganises its capital in a primary LBO led by EPF Partners, alongside qualified private investors and existing investor Entrepreneur Ventures. Witbe offers an award winning approach to ensure the Quality of Experience actually being delivered to the End-Users of any interactive service (telephony, video, Web), on any device (PC, smartphone, STB), and over any type of network (fixed, mobile, OTT). The company just announced the success of its IPO on Alternext Paris. The transaction resulted in a capital increase of approximately € 8 million and a sale of shares amounting to € 7.4 million. Villechenon is ranked 2nd in the Legal 500 Europe, Middle East & Africa 2016 of the “France – Private equity – Venture and growth capital” ranking. Villechenon is recommended in the Legal 500 Europe, Middle East & Africa 2016 in the “France – Private equity – LBO” ranking. Villechenon is recommended in the Legal 500 Europe, Middle East & Africa 2016 in the “France – Tax” ranking. CM-CIC Capital Privé and Ardian Croissance invest € 5 million in Brainsonic, to transform the company into a global leader in content marketing and social media. Azulis Capital, Société Générale Capital Partenaires, BNP Paribas Développement and MACSF lead an LBO on Destia, specialised in home help and care for dependent elderly persons. The exit of Paluel-Marmont Capital was financed by a senior and a mezzanine loans. Villechenon is ranked for the first time in the Private Equity Magazine ranking of LBO lenders counsels and takes the 4th place. Villechenon is ranked 5th in the Private Equity Magazine ranking of law firms active in Venture capital deals. Villechenon takes the 9th place in the Private Equity Magazine ranking of law firms specialised in Growth capital and LBO deals of less than €75M, and is ranked for the first time with respect to the ranking on deals between €75M and €200M (16th place). Villechenon is ranked for the first time the Tax – VAT rankings, in the “Excellent” category. Pinot de Villechenon & Associés is ranked 17th out of the 30 best French M&A law firms in number of transactions. It reaches the 4th place of the “SmidCap” ranking (deals up to € 150 million of enterprise value) and the 9th place in the LBO ranking. Axelliance accelerates its growth by acquiring Vitae, a subsidiary of the Cafpi group (wholesaler specialized in real estate risks), financed by a unitranche and a mezzanine financing provided by Idinvest and ActoMezz. Synthesio, a start-up specialised in the measurement of the impact of companies’ communication, completes a new round of funding of € 8 million with its existing investors Idinvest Partners and Entrepreneur Ventures and welcomes Bpifrance. KissKissBankBank, a leading French crowdfunding company, closed a financing round of € 5,3 million led by Orange Digital Ventures. This investment will allow KissKissBankBank to increase its competitiveness on the crowdlending segment. Pinot de Villechenon & Associés is ranked in the “Excellent” category in the 2015 Mergers & Acquisitions rankings for deals of € 75 M or less. 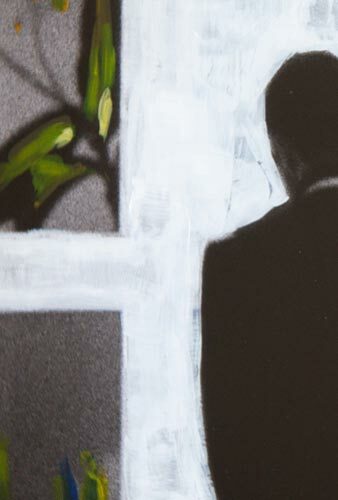 Pinot de Villechenon & Associés is ranked in the “Strong Reputation” category in the 2015 tax aspects of transactions rankings. Pinot de Villechenon & Associés is once again ranked in the top “key player” category of Venture capital law firms in the “2015 Décideurs: Stratégie Finance Droit” rankings. Pinot de Villechenon & Associés is ranked in the “Strong Reputation” category by Décideurs: Stratégie Finance Droit in its 2015 rankings for Joint Venture & Corporate. Gilles Roux and Eric Rey go through Bimedia’s LBO. Dayuse, the hotel room booking platform, raises € 15 million from Idinvest Partners and from its historical investors Partech Ventures, Paul Dubrule (co-founder of Accor) and Charles Petruccelli (ex-CEO of American Express Voyage). “It is the biggest first round of equity financing in Europe in 2015” says David Lebée, CEO and founder of Dayuse to Le Figaro Magazine. Anaveo, French leader of security and video surveillance solutions, reorganises its capital in a primary LBO led by Bridgepoint Development Capital, Paluel-Marmont Capital and Bpifrance. The transaction was financed by a unitranche loan and allowed the exit of the founder, CM-CIC Investissement, Garibaldi Participations and Viveris. Naxicap Partners, leads an LBO on Technicis Group alongside its management. Technicis Group is the 5th largest translation group in Europe. Hachette Livre, a subsidiary of Lagardère, has acquired Editions Kero, a successful publisher of French best-sellers. Pinot de Villechenon & Associés is ranked 2nd in the Option Droit & Affaires Magazine ranking of law firms active in Growth capital and LBO deals of less than € 50 million (4 stars category). Pinot de Villechenon & Associés is ranked 2nd in the Option Droit & Affaires Magazine ranking of law firms active in venture capital deals (4 stars category). Pinot de Villechenon & Associés is ranked 5th in the Option Droit & Affaires Magazine ranking of law firms active in management packages in LBO deals. Erwan Tostivint is one of the 30 rising stars of the French Bar in business law. Document Store, Xerox’s first business partner in France, reorganises its share capital via a sponsorless deal led by ActoMezz to allow the management team to increase its shareholding. Cabestan Capital, managed by Edmond de Rothschild Investment Partners, finances Realease Capital’s next development stage through an LBO, and replaces CM-CIC Capital Privé. Sodifrance, digital services company, leader in modernization of information systems, buys Netapsys, specialized in digital transformation. Sodifrance thus strengthens its position as a specialist in « IT Transformation to digital ». Pinot de Villechenon & Associés won the Gold Trophy for the best Venture Capital and Growth Capital team at the 15th Legal Awards ceremony (Trophées du Droit) held in June 2015 in Paris. Axelliance accelerates its growth by acquiring Immassur, an insurance wholesaler specialised in real estate risks, financed by a unitranche and a mezzanine financing provided by Idinvest and ActoMezz. Connecthings, a leading company in the Internet of things market segment, raises € 9.5 million from new investor Xerys Gestion and from its historical investors Siparex and Calao Finance. Energia-DGEM, a company specialized in renovation and installation of electrical installations, was sold as part of an LBI to TG-LEC. CM-CIC invested close to € 2 million and senior debt was subscribed by CIC EST (arranger) and BRED Banque Populaire. SaaS software publisher for e-traders, Lengow, raises € 10 million from Serena Capital, Bpifrance and Alven Capital. Pinot de Villechenon & Associés is again ranked in the top “key player” category of Venture capital law firms in the 2015 Décideurs: Stratégie Finance Droit rankings. Pinot de Villechenon & Associés is ranked as “Excellent” by Décideurs : Stratégie, Finance et Droit in its 2015 rankings for Growth capital deals. Ergosup, which develops an innovative process for energy storage and conversion, just completed a first round of funding of € 5.2 million with Aliad (Air Liquide Group), Demeter Partners, Go Capital and Arkéa Capital Investissement. Omnes Capital completes an MBO on Bimédia, a French group with a turnover of € 135 million in the development of software solutions and payment terminals. Pinot de Villechenon & Associés is ranked in the “Strong Reputation” category in the in the 2015 Décideurs: Stratégie Finance Droit LBO tax structuring rankings. Synchrone Technologies, specialized in IT services, welcomes Bpifrance and Siparex as part of a primary LBO valued at more than € 100M. Artheos, a start-up specialised in lighting designs for the retail industry raises € 1 million from CM-CIC Capital Privé and Rhône-Alpes Creation. Ubeeko benefits from a seed investment (for an undisclosed amount) from WestTech Ventures, a German based incubator. Pinot de Villechenon & Associés, wins the “Gold Award” alongside Jones Day in the best specialist venture capital and growth capital teams, at the 2015 “Trophées du Droit” ceremony held last June in the presence of over 1,000 legal professionals. Blockbase, publisher of SaaS collaborative platform BulldozAIR, raises € 0.8 million from Setec Innovation. ACOFI, an independent financial services group, has acquired from FONROCHE Group (a subsidiary of Eurazeo) seven vegetable greenhouses with photovoltaic roofs for an amount of € 35 million, via investment fund FCPI Energy Transition France, dedicated to renewable energy and created in July 2014. Augure, Europe’s leading PR & Influencer Engagement software provider, made the full acquisition of the French start-up Wisemetrics, creator of the popular social analytics tool Wiselytics being used by over 63% of the top 100 global brands in nearly 130 countries. The amount of the transaction is undisclosed. Habiteo, start-up specializing in real estate 3D tour welcomes a new shareholder by raising € 3 million from Serena Capital. Stardust Media & Communication (Cheerz) raises € 6 million from A Plus Finance (already present since 2013), Serena Capital and several business angels including Xavier Niel, Codorniou Julien and Jean-David Blanc. Teknimed, specializing in medical devices, welcomes EPF Partners, CM-CIC Investissement and Bpifrance through an MBO. The amount of the transaction is undisclosed. Actility, a leading provider of network solutions and managed information systems for the Internet of Things (IoT) market, has secured € 22.5 million from Foxconn, KPN, Orange and Swisscom, along with the historical investors Fonds Ecotechnologies managed by Bpifrance Investissement, Idinvest Partners, and Truffle Capital. Presstalis, a major player in press distribution and marketing, is expanding its digital offer launched in 2014 under the brand ZEENS, by purchasing ADthletic Media, a start-up specialized in online audience optimization, for an undisclosed amount. Pinot de Villechenon & Associés is recommended in the Legal 500 Europe, Middle East & Africa 2015 in the category “France – Private equity – Other recommended firms”. Pinot de Villechenon & Associés is recommended in the Legal 500 Paris 2015 in the category “Private Equity”. Digitaleo, start-up specialized in digital marketing, secures € 3.5 million from Isai Gestion and Go Capital, and € 0.5 million from business angels, experts in this area. Augure raises € 15 more million from its historical shareholders Serena Capital, Ventech, Amundi Private Equity Funds and OTC Agregator, along with two new venture capitalists Bpifrance (via Ambition Numérique) and Seventure Partners. Pinot de Villechenon & Associés goes up the rankings once again by moving to the 5th place in the Private Equity Magazine ranking of law firms specialised in Growth capital and LBO deals of less than €75M. For the 2nd year in a row, Pinot de Villechenon & Associés is ranked 3rd in the Private Equity Magazine ranking of law firms active in Venture capital deals. Pinot de Villechenon & Associés is now ranked 4th out of the 30 best French M&A law firms in number of transactions (38 deals in 2014 vs. 26 in 2013). It reaches the 2nd place of the “SmidCap” ranking (deals up to € 150 million of enterprise value) and is ranked for the first time in the LBO rankings (8th place). As part of a sponsorless deal including mezzanine and unitranche financing, Axelliance welcomes as new investors Actomezz, Idinvest Partners and Swen Capital, allowing the exit of CM-CIC Capital Finance, historical investor since its creation in 2004, for an undisclosed amount. This refinancing enables Axelliance to purchase Axiome and Squadra, thus creating the 10th French insurance broker. Isaltis, one of the high purity mineral salts key producers, just completed a € 3.5 million funding round from a new investor, CM-CIC Capital Privé, Orium and its managers. Quintessential Brands, a British producer and supplier of fine spirits, purchases the French producer of fruit liqueurs, cognac and armagnac, Lafragette & Lieger for an undisclosed amount. Idéol, a start-up specialized in floating substructures for the offshore wind industry, completes its third round of funding with three of its historical investors, Demeter Partners, Sofimac Partners and IO, and with three new investors, HPC Capital, Turenne Capital, and Conseil Plus Gestion. It also raises a € 6.6 million loan. Mobile Device Ingénierie, a hardware and software developper for fleets monitoring, raised € 2.25 million from a Belgian family holding company. The arrival of Eric Hebras and Olivier Galerneau strengthens the firm’s practice in tax by setting up a dedicated team, complementary to its traditional activities of venture capital, private equity and M&A. Weezevent, an online ticket sales platform with revenues of € 41 million in 2014, welcomes Venteprivée.com, a major French company of online flash sales, for an undisclosed amount. Avenisense, a start-up specialized in the design and production of embedded sensors for industry, raised € 2.5 million from Total Energy Ventures, Demeter Partners and Air Liquide. Oxygem, a French company specialised in online media and e-marketing services, is purchased by M6 Web, a subsidiary of M6 Group, a major French media and television group, for an undisclosed amount. InVivo, a leading French agricultural cooperative group with revenues of € 6.1 billion in 2013, purchases 50% of Life Scientific, an Irish company specialized in high quality off-patent crop protection products, for an undisclosed amount. Eicar, an international film and television school created in 1972 and based in the Paris area is purchased by the Auvence group for an undisclosed amount. Precogs, specialised in electronic component supply chain management, just closed its first financing round of € 700,000 from Cap Decisif Management. This investment will allow Precogs to develop new markets. Eurobio, specialized in the production and commercialization of products for laboratories and research diagnostic, with €13 million of revenues, reorganises its share capital : OTC Agregator sold its stake to the management team. Bébéo, an online children’s clothing sales platform at Melijoe.com with € 20 million of revenues, just completed a €9 million funding round with Gimv and CM-CIC Capital Privé. This investment will allow Bébéo to further invest in its marketing budget and to continue its expansion in France and internationally. Tripndrive, an online platform of car sharing for travelers, just closed a fundraising of € 800,000 with new investor Isai Gestion and three Business Angels. This investment will allow Tripndrive to continue its expansion in Europe. Place Victor Hugo, a group with €25 million of revenues specialised in developing professional practices and teaching French as a foreign language, just closed a fundraising of € 2.3 million with new investor Midi Capital. This investment will allow Place Victor Hugo to develop new markets and to continue its expansion via its subsidiaries in Africa. Quotatis, an online intermediary between individuals and building works professionals in the housing sector, is purchased by Groupe Adeo (holding company of Leroy Merlin and Bricoman), the leading French player in the international DIY market, for an undisclosed amount. ADF, French leader in industrial maintenance with revenues of € 260 million, reorganises its share capital, with the management team and employees increasing their shareholding to 90% of ADF. This transaction allows Edmond de Rothschild Investment Partners to sell its stake and ActoMezz to join as a new investor. Annonay Productions France, a manufacturer of swimming pool equipment, just closed an OBO with Omnes Capital. Existing investor EPF Partners sold its stake as part of this transaction. Cyclauto, an online sales platform of electric bicycles on Freemoos.com, just closed its first financing round of € 1.2 million from CM-CIC Capital Privé, for a stake of 40% of the company along with founders. This investment will allow Cyclauto to expand in France and internationally. Efficity, an online real-estate agency, just closed a build-up with a new investor Foncia, which now holds more than 50% of Efficity, for an undisclosed sum. Seventure Partners and CM-CIC Capital Privé sold their stake as part of this transaction. Amexio, specialized in Enterprise Content Management, just closed an OBO with Société Générale Capital Partenaires, which now holds 32% of Amexio, along with founders Xavier Morcillo, Michel Fayet and management team. 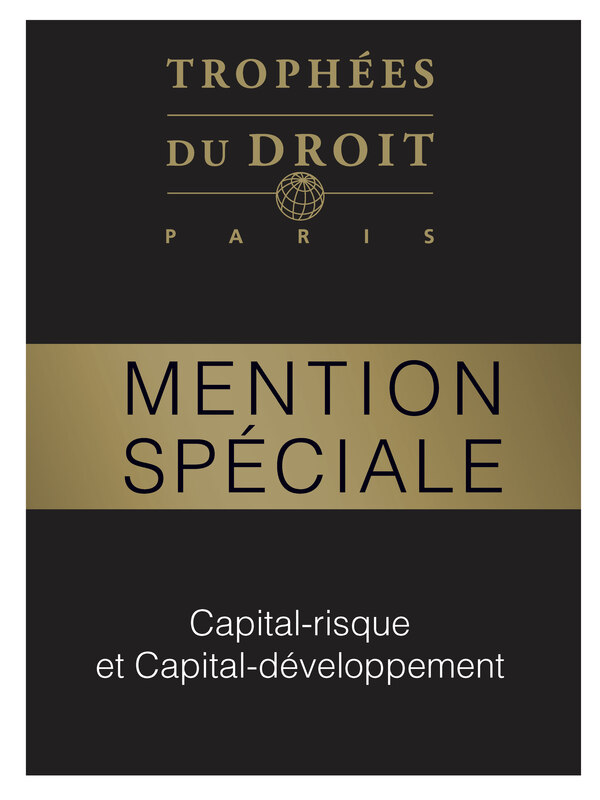 Pinot de Villechenon & Associés is again ranked in the top “key player” category of Venture capital law firms in the 2014 Décideurs : Stratégie Finance Droit rankings. Pinot de Villechenon & Associés is ranked as “Excellent” by Décideurs : Stratégie, Finance et Droit in its 2014 rankings for Growth capital deals. 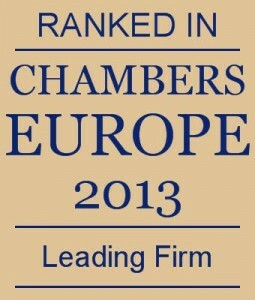 Pinot de Villechenon & Associés is ranked in the “Strong Reputation” category of Counsels for LBO Funds – Lower Mid and Small-Cap in the 2014 Décideurs: Stratégie Finance Droit rankings. D.FI, specialized in computing systems infrastructure, continues its expansion with the acquisition of Lybelis, for an undisclosed amount. Tesalys, a start-up specialized in the development of solutions to make biomedical waste safe, raised € 1 million from Entrepreneur Venture. This investment will allow Tesalys to expand internationally. Fab’entech, specialized in specific polyclonal immunoglobulins against emerging infectious diseases, raised € 5 million from Auriga Partners, Rhône-Alpes Création, Sigma Gestion and historic shareholders . This investment will allow Fab’entech to expand internationally. Leadformance, specialized in sales outlet location on the Internet and online-offline contact generation, is purchased by Solocal Group, which already held 49%, for an undisclosed amount. Smart Home International, a manufacturer of home automation systems marketed to consumers, is sold by HF Company to Demeter Partners, BNP Paribas Développement, InnovaFonds and management team for € 23.5 million. Lysogène, specialized in the development of gene therapies against severe genetic pathologies of the central nervous system, raised € 16.5 million from Sofinnova Partners, Bpifrance Investissement and Novo Seeds. This fundraising will allow Lysogène to accelerate its expansion in Europe and in the United States. Symbio FCell, a manufacturer of fuel cell space, secured a second round of funding with its historical shareholders and an investor, The Michelin Group. Financial terms of this round were not disclosed. Pinot de Villechenon & Associés is ranked 6th in the Private Equity Magazine ranking of law firms specialized in Growth capital and LBO deals of less than €75M. Pinot de Villechenon & Associés is ranked 3rd in the Private Equity Magazine ranking of law firms active in Venture capital deals. Webinterpret, a start-up specialized in the development of solutions for international ecommerce companies, raised € 5 million from CM-CIC Capital Privé and Seventure Partners. This investment will allow Webinterpret to expand internationally. Creads, an online creative and participatory agency, just closed its first financing round of € 3 million from CM-CIC Capital Privé. This investment will allow Creads to expand internationally. SP3H, a company specialized in the development of ground-breaking technologies to the reduction and controlling of carbon dioxide and other pollutant emissions, just closed a fundraising of € 2.5 million from its existing investor Truffle Capital. PrestaShop, world leader in the design of open-source e-commerce software, just closed a fundraising of € 6.75 million from its existing investor Serena Capital and two new investors, XAnge Private Equity and Seventure Partners. This investment will allow PrestaShop to further invest in its marketing budget and product offering to help it expand in France and internationally. Pinot de Villechenon & Associés is ranked in the “ Excellent ” category in the 2013 Mergers & Acquisitions chart for deals of €75M or less. Pinot de Villechenon & Associés is ranked 10th out of the 30 best M&A law firms in number of transactions (26 deals in 2013), and 5th in the « SmidCap » rankings (transactions up to Euro 150 Million of enterprise value). Melkonian, French manufacturer of equipment for mines and underground work, has closed its second LBO with three new investors: Bpifrance Investissement, Sofipaca and Amundi Private Equity Funds for an undisclosed sum. Omnes Capital sold its stake as part of this transaction. Pinot de Villechenon & Associés provides legal services to Explore foundation, created by the famous skipper Roland Jourdain, twice winner of the Route du Rhum in 2006 and 2010.The purpose of this fund is to help finance projects which offer long-term solutions to social and environmental problems. Pinot de Villechenon & Associés is ranked in the “Strong Reputation” category by Décideurs: Stratégie Finance Droit in its 2013 rankings for Joint Venture & Corporate in Life Sciences. Pinot de Villechenon & Associés is again ranked in the top “key player” category of Venture capital law firms in the 2013 Décideurs : Stratégie Finance Droit rankings. Isogeo, a start-up specialized in the design of solutions to collect and process geographical data, just closed a fundraising of € 1 million from a private investor. This contribution will allow Isogeo to continue its expansion in France. Cooltech Applications, a start-up specialized in magnetic refrigeration systems, just raised an additional € 1.5 million with Omnes Capital as part of its fifth round of funding (first closing of € 8 million raised from Demeter and 123 Ventures in February 2013). Dymant.com, an online sales platform of limited series of luxury items, just closed its first financing round of € 1 million from Partech International and Idinvest Partners. 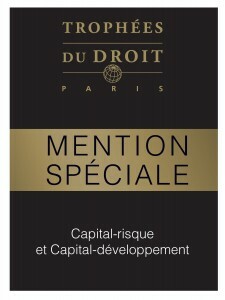 Pinot de Villechenon & Associés was awarded a “special” distinction in the Venture capital and Growth capital category. Exclusive Networks, a software distributor, continues its international expansion with the acquisition of Secureway Network Distributors, a Dubai-based company, for an undisclosed amount. Expertissim, an online platform of arts and antiquesand portfolio company of Nextstage, raised € 5 million from CM-CIC Capital Privé. This investment will allow Expertissim to further invest in its communication and e-marketing to help it expand in France and internationally. Carré Blanc, a French distributor of linens, has closed its fourth LBO with NiXEN Partners, BPI France Investissement and Carvest for an undisclosed sum. Qualium Investment and MML Capital Partners have sold their stake as part of this transaction. La Lettre Capital Finance, October 10, 2013. Envie de Fraises, an online retailer of maternity clothes and other products for pregnant women, secured a second round of funding with its long-term financial investor Amundi PEF and two investors, Generis Capital and Calao Finance. Financial terms of this round were not disclosed. La Lettre Capital Finance, September 3, 2013. Crocus Technology, world leader in the development of random access memories (MRAM) technologies, just closed a fundraising of € 34 million from its existing investors Rusnano, Idinvest Partners, Sofinnova Ventures, Innovation Capital, Nanodimension and Ventech, and from a new Russian investor, Industrial Investors. It is the biggest round of equity financing announced in France in 2013. RB3D, specialist in the field of collaborative robots just closed its second financing round of € 2 million from ACE Management, Alto Invest and Inocap. La Lettre Capital Finance, June 18, 2013. Cooltech Applications, the first company to offer a complete solution that is ecological and industrial to the refrigeration and air conditioning markets by using a technique of magnetic refrigeration, finalized its second round of funding totaling € 8 million from its existing investors, Demeter Partners and 123 Venture. La Lettre Capital Finance, No. 1103 of April 15, 2013. Ideol, a company specialized in the design and installation of innovative floating foundations for the offshore wind industry, has secured its first round of funding of € 7 million from investors, Demeter Partners, Sofimac Partners and Soridec. A second round is planned for 2014. Pinot de Villechenon & Associés is again ranked in “Band 3” by Chambers and Partners in the list of Private Equity – Venture Capital « Leading Firms ». Ekinops, innovative designer of transmission solutions on fiber optic for very high speed telecom networks, has just been listed on the compartment C of NYSE Euronext Paris, and raises € 6.7 million of which € 4 million from its historic investors Ventech Auriga, Odyssée Venture, Amundi, OTC AM Siparex and Idinvest. Pinot de Villechenon & Associés is again ranked in the “strong reputation” category in the 2012 Mergers & Acquisitions chart for deals of €75M or less. Pinot de Villechenon & Associés is again ranked in the top “key player” category of Venture capital law firms in the 2012 Décideurs : Stratégie, Finance et Droit rankings. Pinot de Villechenon & Associés is ranked as “Excellent” by Décideurs : Stratégie, Finance et Droit in its 2012 rankings for Growth Capital deals. Pinot de Villechenon & Associés is ranked in the “Strong Reputation” category by Décideurs: Stratégie, Finance et Droit in its 2012/2013 rankings for Joint Venture & Corporate. FSI Régions invests through its fund Avenir Entreprises Development (AED), € 2 million in the development of Ateliers Elba France, the advertising specialist point of sale. This funding is complemented by a Participatory Development Contract of OSEO for the same amount. La Lettre Capital Finance, February 2013. Eyssautier, leading French brokers in marine insurance and transport is repurchased (buy-out transaction) with Paul-Eric Eyssautier and management along with Omnes Capital, allowing the release of Gras Savoye. La Lettre Capital Finance, February 11, 2013. 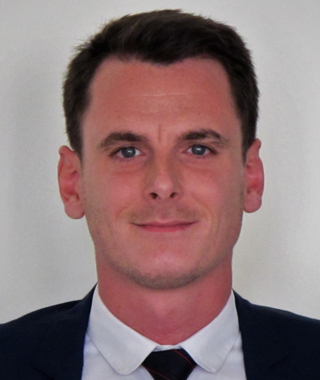 Gilles Roux is listed as one of the 50 rising stars the Paris Bar in business law. Geolid, pioneer of online communication solutions for artisans, very small and medium-sized enterprises (TPE-PME), obtained € 3 million from its founding investor, A Plus Finance, from CDC Entreprises (€ 1 million) and holding Dentressangle Heritage Initiatives, Hi Inov (€ 1. 5 million). Supported by Ventech, Serena Capital, Amundi PEF, OTC Asset Management and Go Capital, the editor of management for public relations and e-commerce AUGURE buys Adequate Systems for a confidential amount. This acquisition will allow the company to broaden its traditional customer base and expand internationally. YouScribe, Europe’s leading publication for reading and sharing digital documents, obtained € 2 million in funding. Besides its historical investors (Thierry Dassault, Benoît Habert, Henri and François de Maublanc), YouScribe welcomes three new investors: Iris Capital, the banker Philippe Oddo and Bruno Emsens (Aliaxis group). This contribution will allow YouScribe to expand internationally just as its U.S. competitors. In March 2012, Africa Telecom obtained funding in the amount of € 1 million from Arkéon Management. Afrique Telecom, VSAT solutions provider, is introduced on the Free Market of NYSE Euronext in Paris. This introduction is part of the deployment of the African continent supply SpaceDSL. Exhonit repurchased InGen BioSciences, a company specialized in the development and commercialization of innovative medical devices in vitro diagnostics for € 18 million. The founding managers and VCs Target (Amundi and Innoven Partners) were paid in part (€ 10 million) in Exonhit titles. The company’s name has been changed to Diaxonhit following the transaction. Lekiosk, leader of digital kiosks in France obtained up to € 5.6 million in funding from CM-CIC Capital Privé and FSN PME (CDC Entreprises) during its second seed round. Lekiosk intends to strengthen its position in Europe by offering its service of reading new generation of magazine for all digital media (web, mobile and tablet), by continuing its policy of innovation and integrating new content. The start-up company, Actility, specialized in smart grids and established in May 2010 by Olivier Hersent, founder of Netcentrex, finalized a second round of fund raising for the amount of € 6.75 million from its founding investor, Truffle Capital (€ 2.75 million), and two newcomers: Idinvest Partners via the EDF Electranova Capital fund and CDC Entreprises. This funding will enable the company to expand its platform ThingPark, an M2M communication tool designed to improve the management of the electricity demand in the Smart Grid. Lemon Curve, the online lingerie department store, obtained its first round of funding from CM-CIC Capital Privé mainly, and business angels such as Pierre Trémolières (Delamaison.fr – ELBEE Group) and Marc Reeb (Caramail, Viadeo and Agregator Capital). Founded in 2011, Lemon Curve wishes to develop its webmarketing shares and hire new employees. Celsius X VI II, designer of luxury mobile phones, obtained its third round of funding from Amundi PEF, which joined existing investors Sofinnova Partners and Idinvest Partners in order to launch its second generation of telephones. The garden center network, Gamm Vert, purchased the online garden center, Plantes et Jardins from the founder Gilles Hamou and historical investors Alven Capital and Innovacom, for an undisclosed amount. Cassidian CyberSecurity (Group EADS) has signed an agreement to become 100% shareholder of NETASQ, a leading provider and pioneer in the computer security. This acquisition is a strategic step in the creation of a European center dedicated to the new generation of integrated security solutions. The leader in the field of humanoid robotics, Aldebaran Robotics, acquires one of the pillars of the European sector, Gostai, specialist of software tools development for robotics and of the mobile telepresence robot Jazz, to strengthen its international position in the market. The U.S. private equity fund, JMI Equity, acquires 100% stake in Capsule Technologie, the Parisian publisher of biomedical devices, for an amount which allows its main financial shareholder investor to have close to 30% IRR. Wallix, a start-up publisher of IT security solutions, completes the second round of funding that it started in late 2011 and which had enabled the company to increase its capital by € 2.1 million. With the inflow of funds from CDC Entreprise, its two founding shareholders Thierry Dassault and Auriga Partners through its holding TDH, and several business angels, Wallix currently has € 4 million to finance its development. The EDUSERVICES group, launched by Duke Street in July 2010, has expanded its network in the field of Higher Education and Privacy Technology. It has acquired l’Institut Supérieur Interprofessionnel de Formation en Alternance (ISIFA) for an undisclosed amount from FSI Régions that held 100% of ISIFA since 2005. ISIFA is a leading private player in the field of block-release training in tertiary career. Transfer control of the ELBEE group, a leader in design and home furnishings online to the Adeo group (Leroy Merlin …), for an undisclosed amount. The web publisher of booking restaurant tables, LaFourchette.com, obtained € 8 million in a third round of funding from Serena Capital and Partech International. Pinot de Villechenon & Associés is ranked in “Band 3” by Chambers and Partners in the list of Private Equity – Venture Capital « Leading Firms ». Eptica, a leading provider of CRM on-premice and Saas software in France obtained funding in the amount of € 7 million at the fourth round fundraising; Auriga Partners succeeds to XAnge and invests alongside Omnes Capital, historical shareholder. Henceforth, Auriga Partners owns 26% of Eptica capital. Pinot de Villechenon & Associés is ranked 4th in the Private Equity Magazine ranking of law firms active in Venture capital deals. Pinot de Villechenon & Associés is ranked 7th in the Private Equity Magazine ranking of law firms specialized in Growth capital and LBO deals of less than €75M. Comiris Capital, a financing of technological assets company, acquired in December 2011 by its manager through MBO, merges with Realease Group, another expert in progressive leasing of technological assets. Following this merger, the entity becomes Realease Capital. Afrique Telecom, a VSAT solutions provider, obtained funding in the amount of € 1 million from Arkéon Management. The Pan-African alternative operator of IP satellite services, enabling the connection of all African countries to worldwide network will develop its new range of pre-paid cards for Small and Medium-sized Enterprises (PME) and local authorities of Francophone sub-Saharan Africa. Pinot de Villechenon & Associés (PVA) advised Wanimo, an online pet shop company, for its acquisition for € 18 million. The sellers include Alven Capital, Entrepreneur Venture, Alto Invest, business angels as well as Isabelle Vidal, the founder, who remains the Chairman and CEO of the company. Vectalys, a Toulouse start-up company specialized in biotechnology, completes its second round of funding in the amount of € 1.2 million from its two existing investors, Fa Dièse and FJ Investments and a business angel. Joining a reasonably-sized business law firm, recognized for its experience and the quality of its services. Working within a successful and dynamic team, with shared values: striving for excellence, commitment and availability, enthusiasm and work satisfaction. Operate in a demanding and challenging work environment where friendliness, team spirit and solidarity foster professional growth and personal enrichment. Associates: we give priority to candidates with a strong background in business law, contract law supplemented by a degree from a business school or a law degree from abroad. A perfect command of the English language is essential. Trainees: we welcome all year-long law students or student lawyers, for traineeship ranging from 3 to 6 months. These internships are paid and a training agreement is required. Our recruitments are made either by advertisements from us or through unsolicited applications. This website “www.villechenon.com” is published by the Villechenon firm. All information available on the website is intended for general information and do not in any way constitute legal advice or an offer of services. This entire site is subject to French and international courts in all matters relating to copyright. The website is reserved for the private use of each user. The website has been submitted to the Paris bar, France. 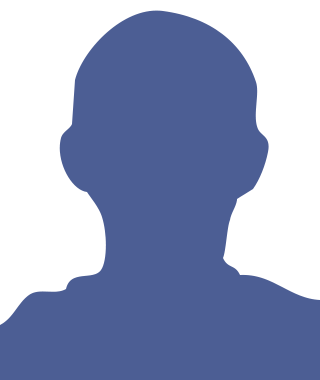 Each user is solely responsible for any use made of the information provided by the website and the Villechenon firm is not responsible for any direct or indirect act arising from the use of such information by the user. Villechenon does not guarantee that the website will be available continuously. The creation of hypertext links to the site requires the prior consent of the Director of the publication. The information available through hyperlinks published on the website are the sole responsibility of their authors and do not engage the responsibility of the firm. All rights reserved. Reproduction of all or part of this website is prohibited unless specifically authorized by the Publication Director, with the exception of third party trademarks that could be cited. Please be reminded that attorney client privilege of correspondence is not guaranteed on the Internet and that each Internet user must take all appropriate measures to protect their own data and / or software from contamination of viruses circulating on the Internet. The recorded information is reserved for the exclusive use of Villechenon, with the sole purpose of responding to emails sent to it. In accordance with Articles 39 and subsequent of Law No. 078-17 of 6 January 1978 as amended by Law No. 2004-801 of 6 August 2004 relating to computer data and protection, any person may obtain and, if necessary, correct or delete any information about him, by contacting the Publication Director.